City retailers are set to get a whole lot more connected in the interest of safety and crime prevention. Last week, the North Belfast District Police and Community Safety Partnership (NBDPCSP) unanimously agreed to supply £2,700 of funding to put in place infrastructure that would see local traders get connected by radio link. The scheme was initially set up in the city centre to combat robberies, crime and anti-social behavior by sharing information and intelligence. It’s now being rolled out across Belfast. Chair of the local policing body, Mary Ellen Campbell, said: “This imaginative scheme has proved to be effective in reducing crime in other areas and I’m glad to see it rolled out on a wider basis. Organised crime is a major concern for local people and for traders in particular and we must do all we can to assist them through measures such as this. The comprehensive retail radio surveillance package provides a two-way system linking participating retailers to each other, to the City Safe Officer, city centre representatives and the PSNI CCTV Control Unit. The radio system enables traders to quickly pass on information on criminal activity, giving security staff the opportunity to be fully aware of their movements and descriptions. Staff on the tail of criminals can remain in contact with other security staff who could provide assistance and the system also has a built-in panic button. 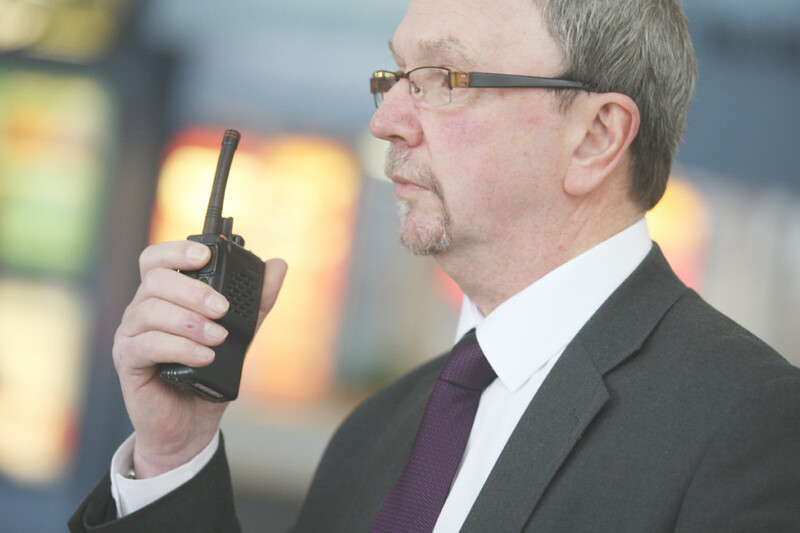 If activated the identity of the user is immediately sent to all PSNI radios and a microphone becomes automatically activated for ten seconds, enabling a hands-free facility. The proposal will see out-of-town retail centres like Yorkgate and others become part of the City Centre Radiolink Scheme. Centre Operations Manager for Yorkgate, Michael Langston, welcomed the move. “Essentially the scheme extends what we already have as part of the city safe model and affords us on the periphery of Belfast to come on board and in line with police response,” he said. The SDLP’s Pat Convery, a member of the NBDPCSP, said that the move was an important one for local businesses, particularly those suffering from shoplifting and loss of stock.